The first people to hop on the bandwagon for multifunctional furniture were urban dwellers in micro apartments, where square footage is unbelievably valuable. Now there is a growing trend toward downsizing among rural dwellers too. People are building tiny houses, often from recycled materials. Less house, less furnishings, less stuff equals a smaller carbon footprint. Many people have found that if they choose wisely, they can have more storage space with less furniture, while saving money and living more sustainable. This is all very appealing to those who are seriously concerned with environmental issues. More storage space is always high on the list of everyone’s home priorities. 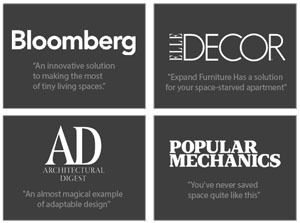 While many homeowners add walk-in closets, pantries, and extra kitchen cabinets, the space conscious are seeking multifunctional furniture that does more with less. Expanding and storage containing dining table are very popular. 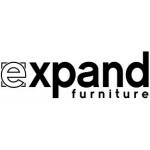 To find a dining table set for sale online check out these offerings from Expand Furniture. 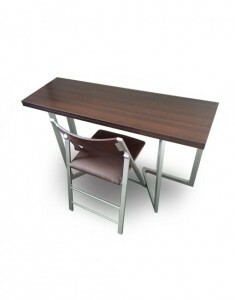 For a modern look and high efficiency, the space saving Expand Modern Dining Table and Chairs is a great choice. This dining table lowers to coffee table height, raises to dining height, and can be used at any height in between so that it can be easily disguised in between dinner parties. The table itself has curved chrome legs and is available in several finishes, for a sleek modern look. When used as a dining table, the Expand Modern Dining Table is capable of seating 6 to 8 dinner guests. The Expand Modern Dining Table and Chairs set includes four matching Nano chairs. These stylish chairs provide a softly padded seat, but are extremely thin when folded, making them easy to store under a bed, in a closet or even a cabinet. The Nano chairs are a high quality, durable combination of wood and steel. The Transforming Table dining set is perfect for a small home. The Transforming Table can be raised and lowered to the desired height, but this one can also rotate and flip open to double in size. It seats four comfortably, but can squeeze in six. The legs of the Transforming Table contain locking wheels for added mobility. The set of four Nano folding chairs is a great addition. These stylish chairs are both padded and comfort contoured, but razor thin when folded for easy storage. An apartment sized extending table is the Junior Giant. It starts out as a surprisingly small desk or console, but extends to a full size dining or conference table able to seat 8 to 10 people. 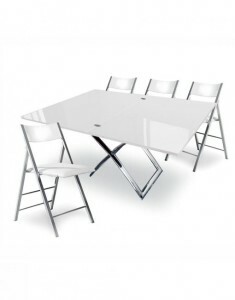 The Junior Giant Extending Table Set comes complete with eight matching Nano or Pendulum folding chairs. The Nano folding chair offers a contoured back and padded seat while the Pendulum folding chair is a sleeker, more minimalist style, designer folding chair. Both chairs are capable of folding razor thin for easy storage. This dining table set is another fantastic choice if you don’t want to sacrifice style but need a space saving option. The console folds away neatly when not in use, but doubles the size of the table, when employed and allows to seat up to 6 people. The console to dining set is available in a warm walnut finish or timeless glossy white and just like the Junior Giant it allows you to select either Nano or Pendulum chairs, depending on your style preference. This set makes a great buy for those who love options. While it makes a nice console turned dining table, it would also be a great addition for your office as a desk that then folds out for meetings or study groups. 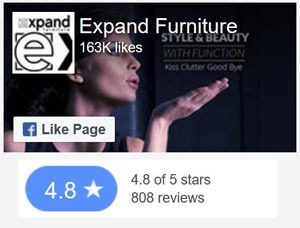 At Expand Furniture we understand that utility not only means changing in size but also making our furniture multi purpose. 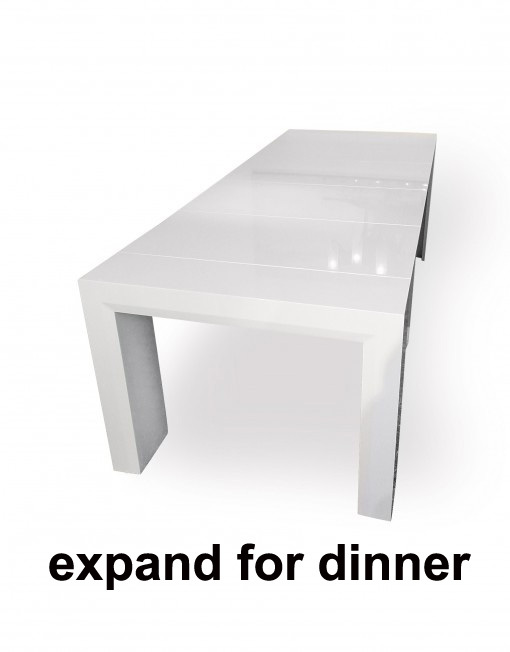 In addition, Expand Furniture offers several expanding coffee tables that can be used for dining. 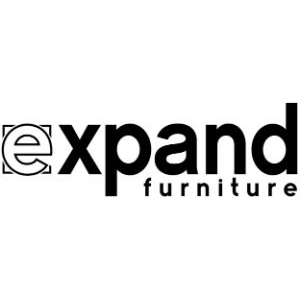 All of the inventory at Expand Furniture is multifunctional, practical and attractive. Owners are thrilled with the efficiency of tables that can be used for at least four or five different purposes, such as a coffee table, dining table, desk, console and craft table all in one. The possibilities are endless. High quality materials and craftsmanship are used in constructing our furniture so that it will perform exceptionally well for a long, long time. You won’t find a better dining table set for sale online, that’s why we offer an extended 500 day warranty on mechanical parts. Customer satisfaction is our number one goal, so if you are unhappy with your purchase it can be returned within seven days to receive a full refund excluding shipping costs. Contact us today to learn more about our unique furniture and space saving items.